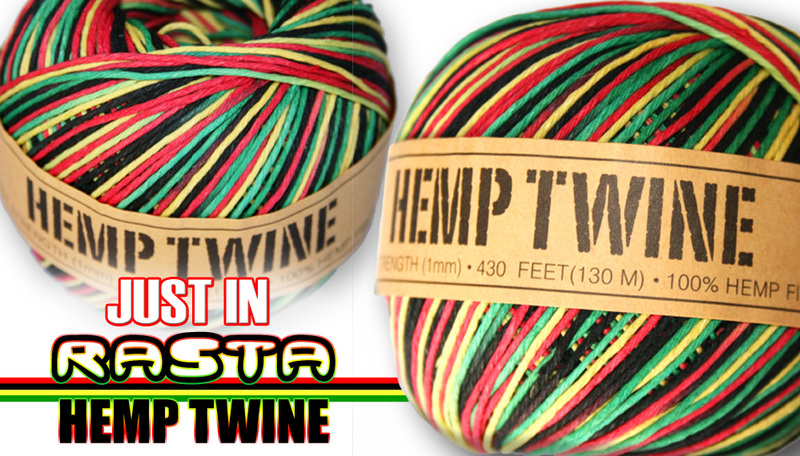 1mm Rasta Hemp Twine is now available online at www.hemptopia.com. Hurry up and get yours while supplies last. This variegated rasta colored hemp twine is great for beading and jewelery craft making. It has a breaking strength of 20 lbs and comes in a ball of 430 feet. This 1mm hemp twine will last you a long time and can make many bracelets necklaces and other items. The 1mm hemp twine is made from 100% naturally grown chemical free hemp. *Also available at wholesale pricing, pricing starts at one dozen or more balls.